Belgian Linen stands for traditional craftsmanship at the highest possible standards. Linen is one of the most durable and sustainable fibers in the world. By combining these natural qualities with traditional craftsmanship, Belgian Linen™ products are known to have a high level of comfort, quality and durability. Libeco is committed to creating Belgian Linen with the most eco-friendly, sustainable, green processes possible. 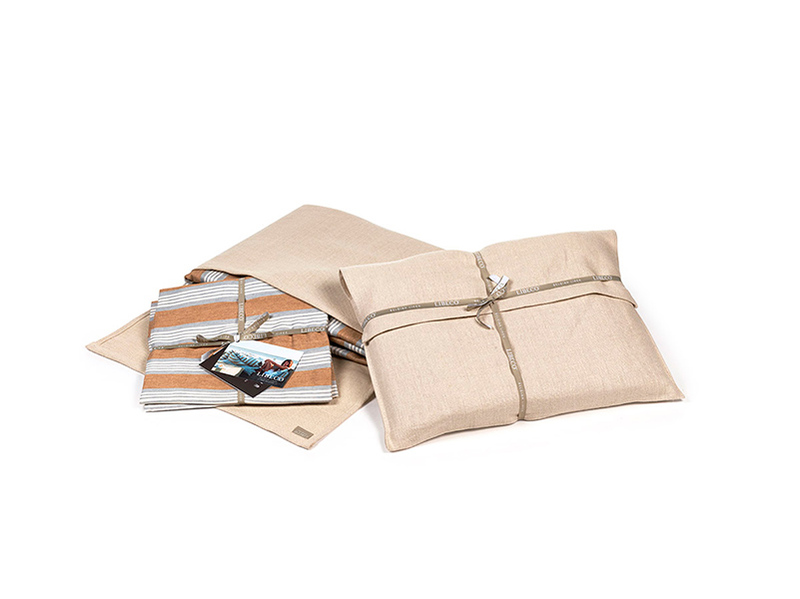 By buying Belgian Linen products, you are assured of linen that will last a lifetime. What is the difference between Belgian Linen and Belgian Flax Linen or European Flax Linen? These labels suggest that the products are produced with flax grown in Belgium or Europe. However, these labels do not guarantee that the fabric is woven by Belgian weavers , as they are not synonymous with Belgian Linen™. Be aware that these linen products are mostly produced outside of Europe, not adhering to the same strict quality standards applied in our Belgian mill. The Belgian Linen™ label was launched for the first time in 1960 by the Belgian Linen Association. They have been governing the label ever since. Each product that carries a Belgian Linen™ label gets an original certificate and unique number. In this way you can trace the origin of your product. The Belgian Linen™ label is a guarantee of quality and should be sought after every time you buy Belgian Linen™. Libeco organic Belgian Linen is GOTS certified. The Global Organic Textile Standard (GOTS) is recognized as the world's leading processing standard for textiles made from organic fibers. What makes it different from other certifications is that it includes a list of process-related criteria along the entire organic textiles supply chain. To obtain a certification, the product needs to comply with social criteria such as working conditions, pay, and stringent health and safety standards throughout the supply chain. It requires no irrigation: the flax plant loves the Belgian climate (wet and moderate). The natural circumstances are ideal for flax cultivation so the plant doesn’t need extra irrigation. No GMO's or crop protectors: the organic collections are made out of flax that is cultivated organically, without the use of GMOs, crop protectors or fertilizers. There is no waste: all parts of the flax plant can be used as a resource for other products. Since 2011 Libeco has been working together with environmental partner co2logic to work on our environmental footprint. Together, we we drafted an integrated ecological plan to reduce emissions by one third over a period of two years. Green electricity, LED lighting, solar panels, a more environmentally friendly car fleet and optimization of waste processing are just a few of the measures that were implemented. Since 2014, we have been certified as a CO2neutral company. What is a Belgian Royal Warrant Holder? 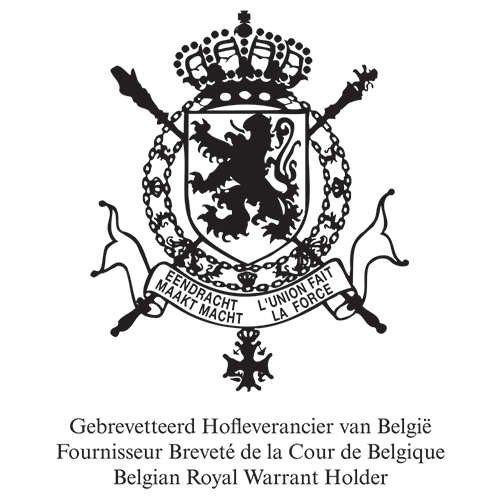 This title is granted to businesses who provide services or goods to the Royal Belgian Court. The King of Belgium appoints the title himself. Not everyone can become a warrant holder at the Belgian Court. In addition to actually supplying the Royal Palace on a regular basis, the candidate must introduce a request to the Steward of the King’s Civil List. The request is then carefully examined, with regard to the very precise conditions of concession. Libeco was granted the title of Royal Warrant Holder in 2006 and has kept the the title ever since. What is Masters of Linen®? To ensure 100% European traceability of finished products, the spinners and weavers commit to a strict set of rules regarding their production and sourcing. Each year, audtis are performed by one of the approved certification bodies.